The birth of 3D printing first came about due to the demands of engineers needing to create a rapid prototype. At first this technology in the ’80s was limited to a handful of organizations but by the end of the decade it was being used throughout industries needing to produce highly complex parts quickly. By the late ’90s 3D technology was starting to advance into organs and tissues, with the first working kidney made in 2002. During these two first decades, 3d printing remained an expensive and highly specialized technology. In 2005 and 2006 the technology started to turn towards more widespread availability with the advent of selective laster sintering. The result is the ability for easy customization of the printer to do just about anything. Within years the applications expand and by 2009 several consumer based 3D printers entered the market, the most popular of which is Makerbot Industries. Nowadays these systems have come down in price enough and come up in abilities that even small organizations can use them, sometimes even on a scale beyond prototyping but to actually mass produce parts. The lower end systems are now down into the $300 range with the main models between $1200 – $2900 and industrial models running over $100,000. 3D printing has created has expanded in application in the last decade to include just about every industry. Though many of these applications are still in development and testing stages, 3D printing has been used to build just about anything at this point. Like the birth of digital computers 3D printing has the ability to disrupt multiple markets and make things possible that were not previously even conceivable. By its nature it’s open and democratic allowing free sharing of models and the ability for anyone who can afford a 3D printer the chance to build whatever they need. 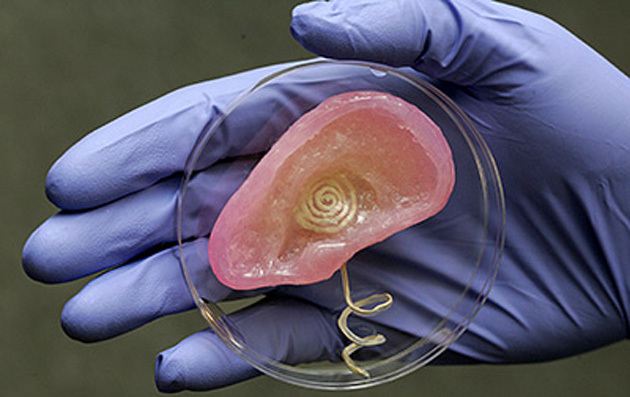 –Human organs: Human cells printed directly into any 3D dimensional shape . The technology is a still a ways from mass production but if efforts are successful it could revolutionize the health care industry by simply allowing doctors to print any piece of the human body needing replacing. 3D printed organs have already been tested and shown to work in mice and some estimate within 15 years the technology will be fully developed to change the industry. 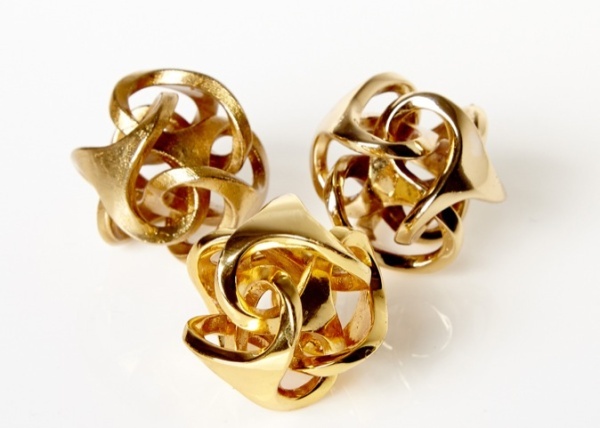 -Gold and silver: 3D printing isn’t limited to plastic but also to more rare materials like gold. Some 3D designers are coming out with unique and intricate gold and silver jewelry and some think it might revolutionize the whole industry. 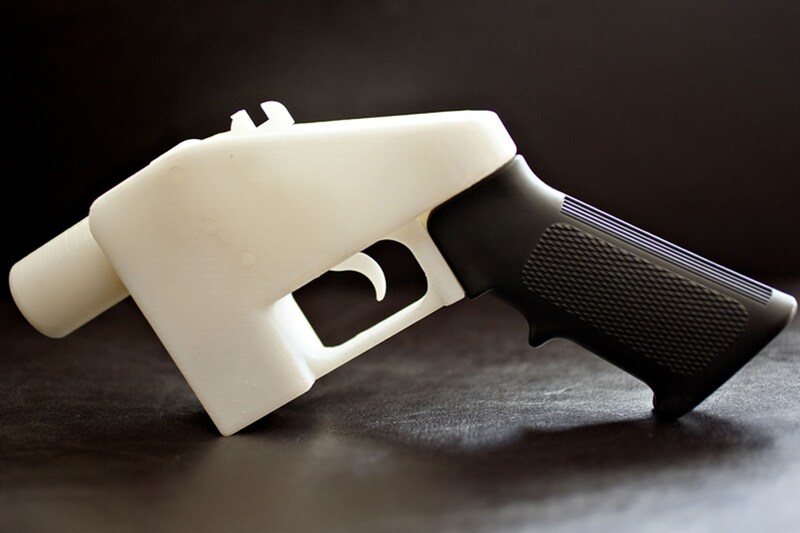 -Guns: It would be an underestimate to say that 3D printed guns are controversial. Since they are made of plastic they aren’t very easy to detect and don’t require any sort of registration. Regarldess, several designs have been made available and both the designs and the printers themselves are getting better and making it increasingly easy to print a quality gun. Some printers that use metal can create a regular gun as well and currently printing a 3D handgun is legal in the United States. -Recreate ancient artifacts: Researchers have been using 3D scanners and printers to recreate and store ancient artifacts. These 3D models in many cases have been made freely available. 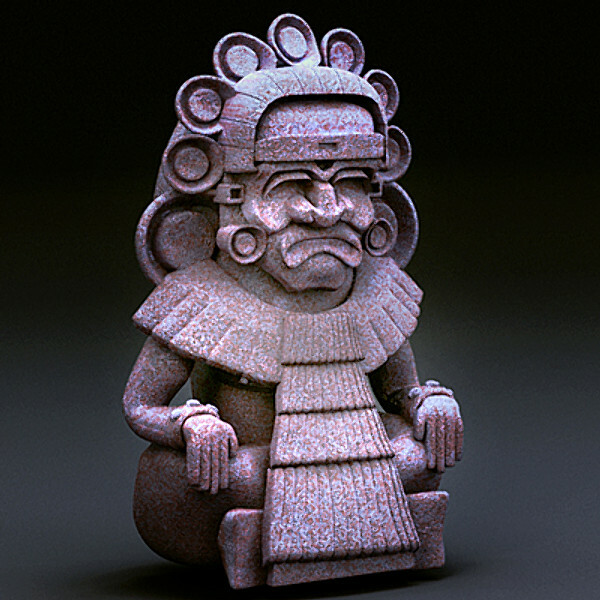 This technology has allowed archaeologists at Harvard to fix damaged artifacts and allowed hobbyists to simply print out copy of ancient artifacts with sites like Threeding and 3D Print making them available so you to can have an ancient Sumerian statue in your living room. -Cars: Several companies are exploring production of 3D printed cars of which there have already been several created. Local Motors wants to offer its customers the ability to upgrade their car, which would be melted down and then re-printed. All parts could easily be re-printed if there was any damage and the car is mostly recyclable. The vehicle is currently 75% printed but expected to reach 90% in the next year. -Aircraft: 3D printing in aviation has been taking off as of late with the FAA clearing GE to create the first 3D printed part that will fly and Boeing using many non-metallic additive manufactured parts on their planes. 3D printing could help lower the cost and time to get a replacement part and they could also lower the weight by up to 50%, creating greater fuel efficiency. 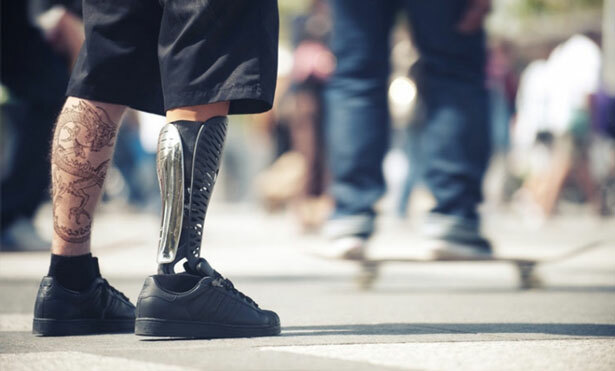 -Prosthetics: A good prosthetic limb can give life back to an individual but is exceedingly expensive. Many are already being helped in Sudan by 3D printed arms, legs and hands. Instead of upwards of $100,000, a 3D prosthetic can cost as little as $50. Some have even preferred the open source 3D printed versions to their expensive prosthesis. -Teeth: In the future if your teeth start going bad you can visit your local dentist and he can print you up a new pair. 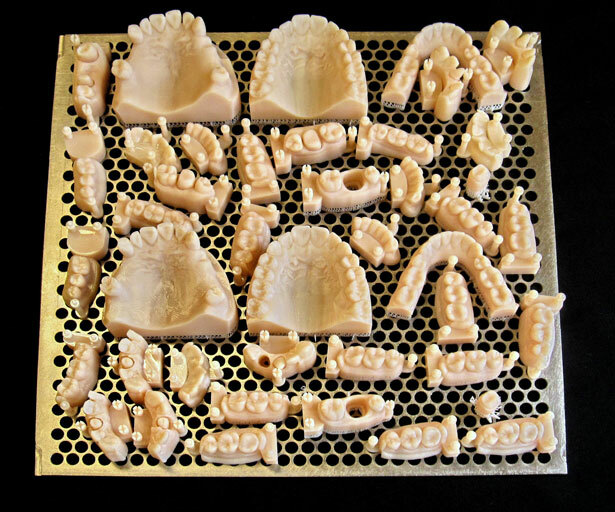 Combining oral scanning, CAD and 3D printing you can come up with a range of orthodontic pieces. New research from the Netherlands has shown promising results on 3D printed teeth that always remain white and resist decay thanks to antimicrobial properties in the plastic. In the coming years you’ll likely see more and more dentist offices using this technology and within a decade it should become widespread. 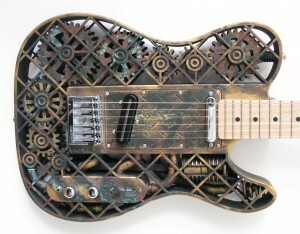 3D printers have even been used to create electric guitars as shown here from ODD guitars of New Zealand. 3D printing has come a long way in last several decades and the current form of the technology uses an additive process that lays down multiple layers of a material until the object is completed. While not all 3D printers use the same technology selective laser sintering is the most common which uses a laser to fuse plastic into a new form. DLP projection is yet another process that uses a projector and FDM uses a heated nozzle where the filament is heated and material deposited on the desired location. More methods of ever increasing accuracy are being developed all the time as more companies are competing to gain market share. Stereolithographic 3D printers use a vat of liquid photopolymer and a UV laser beam which traces out the object, causing the material to harden. 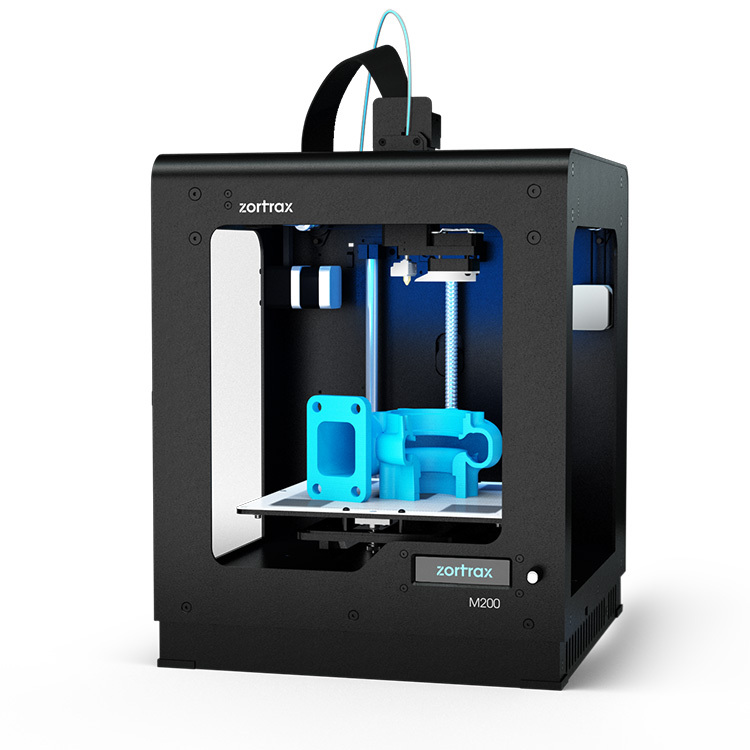 These are the most accurate and consequently most expensive 3D printer systems. 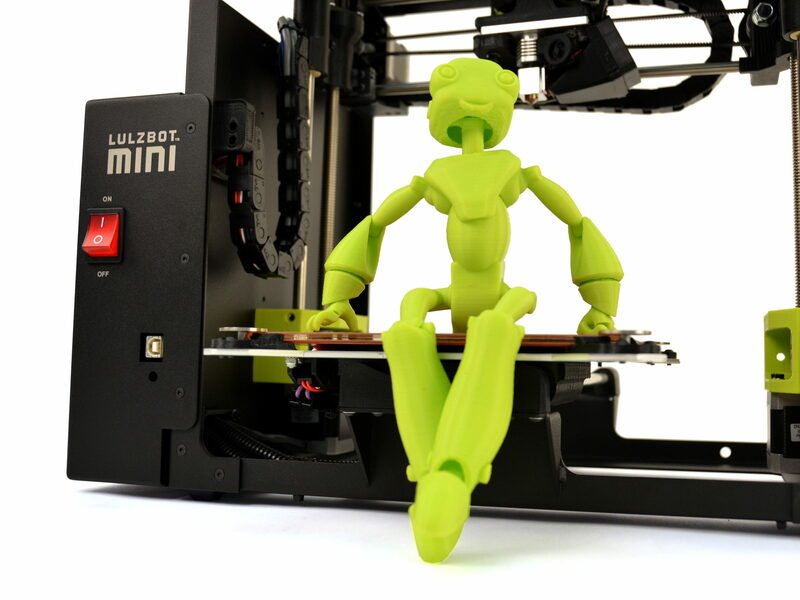 LulzBot Mini 3D – This an affordable ($1,295) and highly rated choice among 3D printer users. It’s extremely easy to use involving no complex assembly with simple software but still with impressive capability and capacity. 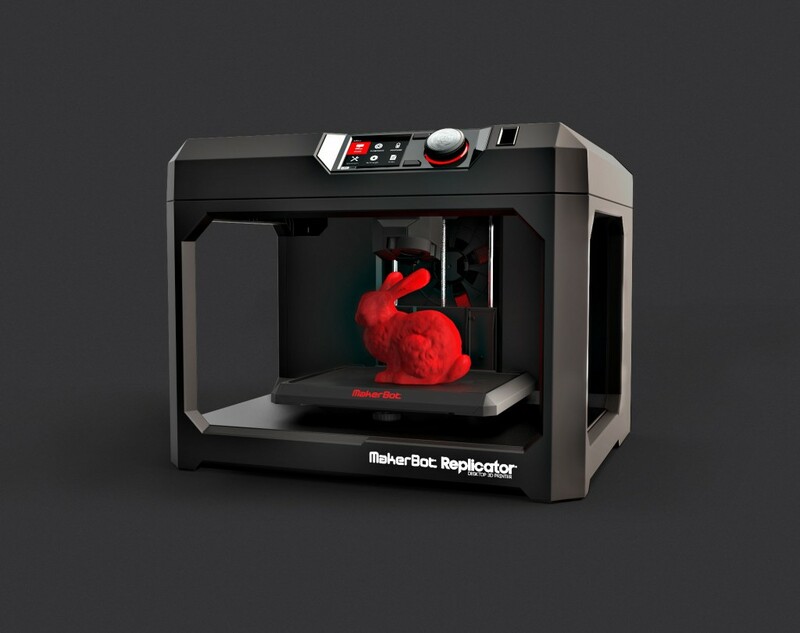 MakerBot Replicator Desktop 3D Printer – Makerbot is an original and for a high end design ($2,899) it’s very well built, easy to use and has an intelligent user interface. The print quality is good, with an onboard camera, multiple connectivity options and the ability to print paper thin layers. Its larger size allows you to print even bigger items than previous models. 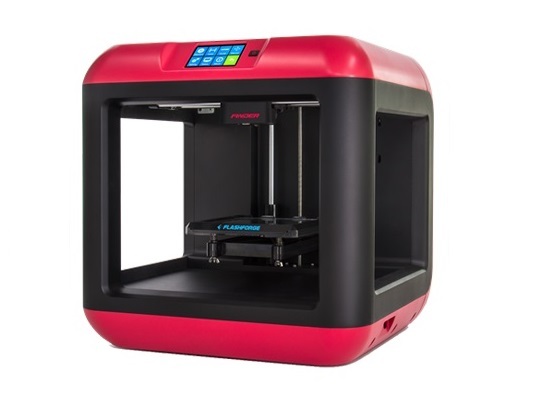 FlashForge 3D Printer – At $699 the Flash Forge is a favorite for those who are budget minded and want to get a system that is both easy to use and safe for kids. It uses a non-toxic PLA filament and is a perfect starter 3D printer with a resolution of 100 microns. In order to make a 3D model you need a CAD drawing or file containing the dimensions for an object. In recent years there has been a proliferation of hardware and websites dedicated to making this easier. There are now dozens of websites dedicated to sharing or making available for purchase 3D model files (STL). These include Thingiverse, Tinkercad, Shapeways, Pinshape and Youmagine, just to name a few. 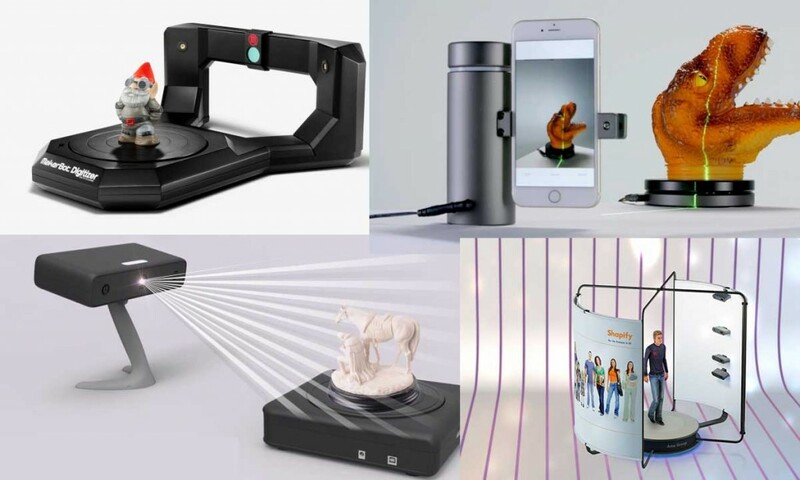 Many of the companies that make 3D printers also have 3D scanners where you can scan any existing object and save and share the file freely. Some systems combine both a printer and a scanner like the XYZPrinting Da Vinci. There are handheld scanners, desktop scanners and portable scanners, even one that connects into your iPhone called the Occipital Structure Sensor. HP makes a computer called the Sprout that is specifically dedicated to building, scanning and printing 3D models. Even Microsoft’s Kinect can do 3D scanning now. Many local malls and well trafficked locations now have Shapify booths where you and a loved one can be scanned for a 3D printed model which will look stunning on the wedding cake. On the path to mass adoption most innovations start off the way 3D printing did for the company 3D systems. The technology at first was very expensive, required substantial operator skill and was limited to a handful of manufacturing clients. As time progresses the price came down, the size went down and the abilities went up. The ability to cross the chasm was in large part thanks to another innovation, the digital computer. The rise of digital computers made it easy to take advantage of 3D printing technology and by 2010 companies around the world were exploring how the technology could benefit them. 3D printing owes a big thanks to both the open source movement which has helped it along by freely making available tens of thousands of designs and the birth of crowdfunding, where many innovative 3D printing projects have been given life. Given the potential applications and the ever expanding abilities and lowering of prices thanks to now strong competition, it’s likely that the market for 3D printing will continue at significant strides each year. 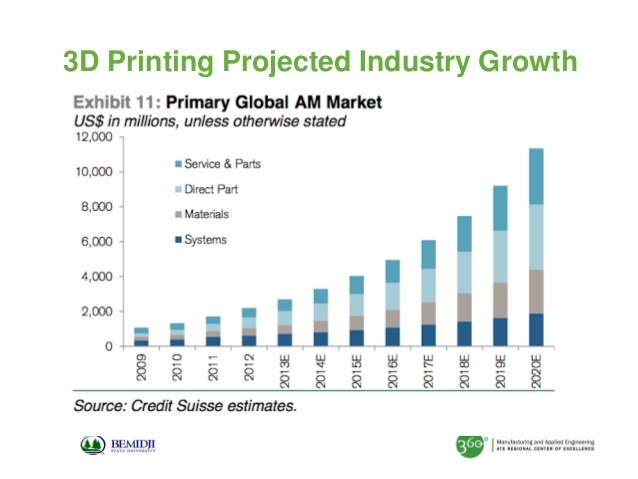 The market for personal/low cost (<$5000) 3D printers continues to grow aggressively at around 35% per year according to a report from Context. This will increase even more as just in the last five years the cost has come down several factors and now you’re getting what would have been considered enterprise quality just a couple years ago at a fraction of the price.